DUBLIN, Ireland / WEST HILLS, Calif. (January 15, 2019) – Nuritas and Pharmavite LLC, a leading U.S. manufacturer of high-quality vitamins, minerals and supplements, have entered into a Discovery and Option agreement aimed at discovering bioactive peptide networks to address one of the 21stCentury’s biggest health and wellness concerns and meet a target of huge consumer demand. 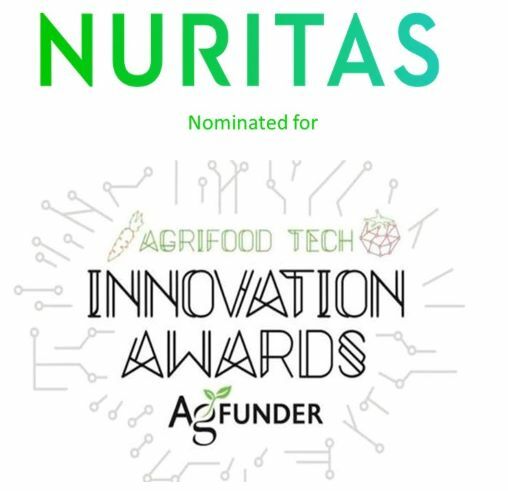 In order to achieve the common goal, Nuritas will deploy its proven technology platform, which combines Artificial Intelligence and DNA analysis to predict, unlock, and validate bioactive peptide ingredients. Pharmavite will leverage its quality-driven, science-based capabilities and applications expertise to formulate the newly discovered bioactive peptides into consumer dose forms and validate the efficacy of these new discoveries within clinical trials. Founded in 2014 by mathematician and bioinformatician Dr. Nora Khaldi, Nuritas is the first company in the world to demonstrate that AI can accelerate the discovery of a healthcare product from concept to market in less than 3 years. Nuritas is a discovery platform for active peptides that can prevent or treat disease with industry leading speed and accuracy. It is successfully doing so currently in collaboration with a number of industry leading multinationals. The multi-award winning company is changing the landscape of drug discovery and functional food ingredients by identifying novel peptides using a proprietary artificial intelligence (AI) platform, with in-silico predictions validated by their in-house laboratory and multidisciplinary team of scientists. For more information click here. Pharmavite is a leader in the health and wellness industry, earning the trust of healthcare professionals, consumers, and retailers by manufacturing high-quality nutrition products and solutions under its Nature Made®, MegaFood and Innate Response brands. Pharmavite is dedicated to helping people live healthier, more vital lives by producing the highest quality products and providing trust and transparency. Based in California, Pharmavite LLC is a subsidiary of Otsuka Pharmaceutical Co., Ltd. For more information please click here.